The real estate sector is one of the largest contributors to India’s GDP, and it is expected to grow by 30 percent over the next decade. However, it is also considered the “most ambiguous sector to transact under,” with insufficient regulations leading to numerous cases of consumer-developer conflicts and project delays. After eight years of deliberation to streamline such irregularities, the landmark Real Estate (Regulation and Development) Act (RERA), which was notified by the Ministry of Housing and Urban Poverty Alleviation in 2016, became fully operational on May 1, 2017. This Central Act has made it mandatory for states and Union Territories (UTs) to establish their own Regulatory Authority (RA) and appellate tribunals which would enforce the provisions under the Act. By acting as an umbrella regulatory authority and bringing in accountability from states and UTs, RERA seeks to bring transparency in the real estate sector, safeguarding the interests of home buyers and improving financing opportunities for builders and developers. 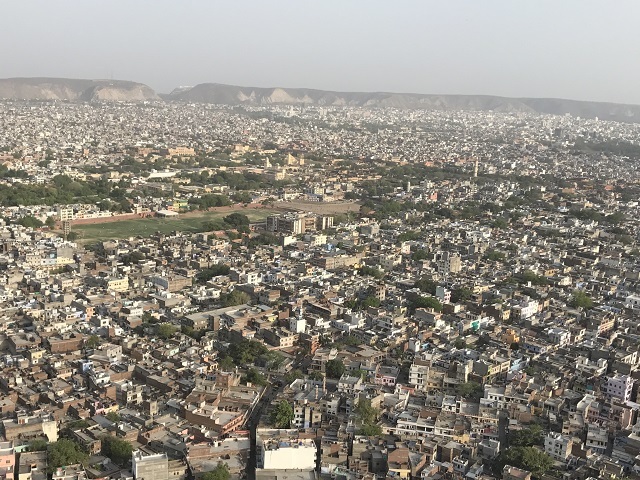 In February 2017, the Government of India’s Ministry of Urban Development (MoUD) also announced the formulation of the National Transit-Oriented Development (TOD) Policy. This policy looks at integrating land use and transport infrastructure to develop planned, sustainable urban growth centers. For instance, walkable and livable communes with high-density mixed land-use around transit corridors like the metros, monorail and bus rapid transit (BRT) corridors, are currently being constructed on a large scale. Incidentally, these two forward-thinking policies share common ground – while RERA strives to reform the realty sector, TOD holds the potential to create synergies that eventually lead to sustainable cities with higher densities, increased economic activity and better public spaces. Hence, there lies an opportunity to integrate the two policies, by offering special status to TOD within RERA, paving the way to build compact, connected and equitable cities. In its essence, RERA is indeed a necessary intervention to organize the real estate sector and protect consumer interests. RERA will bring under its domain all projects qualifying as real estate and projects that have real estate as a component. While complying with the provisions of RERA might lead to a temporary increase in property prices, proactive interventions like the government’s announcement in the Union Budget 2017, to award infrastructure status to affordable housing, will pave way for low-cost finances and increased investment in the sector. If the market has sufficient housing options to choose from, the sector is likely to break even and standardize housing costs for the future. Also, the Act is expected to reduce delays in projects through a single window clearance system. 1) While single window clearances are targeted at reducing delays, the Act does not specify the list of approvals that can be sought through this system or its process. Typically, single window clearances do not take into account environmental impact assessments, fire department clearances and so on. Development projects are often held up for years due to lengthy approval processes, and if state-specific procedures are not clarified, it could lead to further delays and confusions. 2) The Act prohibits marketing strategies like pre-launch, that were earlier employed by developers to obtain the initial capital required for a real estate project. Instead, through a fund-channeling mechanism for project development, the Act guards the timely delivery commitment. In such a situation, developers will have to look for alternative sources of funding and financing including their own body. Such prohibitions could be especially detrimental for a new and progressive urban growth strategy like TOD. 3) With a process-oriented approach, RERA can ensure and eventually increase the possibility of obtaining funds for real estate projects. But comprehensive TOD projects, which aim for an infrastructural augmentation of an entire area along with a real estate component catering to a wide variety of users, might suffer for want of funds. This could have a negative impact on the implementation of TOD projects, especially in retrofit situations and at a corridor level. If TOD is given a special area status, it will formalize not just the workings of the real estate sector but also its associated infrastructure. By bringing in station area developments within its domain, RERA and TOD can go hand-in-hand, leading to comprehensive development. Regularization of the real estate sector could also benefit TOD projects in terms of procuring finances, streamlining land acquisition processes and timely delivery, thereby making it easier to launch and showcase them. As of today, several states are still in the process of finalizing their RERA rules, giving the concerned state governments an opportunity to incorporate TOD into RERA. This would give a huge impetus to operationalize TOD in Indian cities.